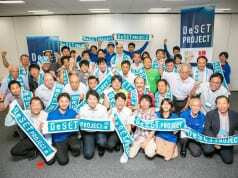 This video introduce about DeSET PROJECT which aim to innovate how we map the ocean floor. Leave a Nest plays a roll of program manager. We collect scientists, entrepreneurs and industries to one place and encourage them to team-up for innovative research project. For the 1st batch, we have subsea station team, remote sensing team and Super resolution AI team. If you want to contact the person who attended, tap me at twitter. 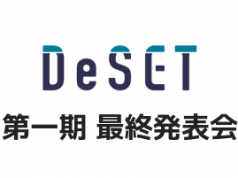 DeSET; Novel Approach of Innovation to Increase Seafloor Mapping Capacity, Forming Hyper-Interdisciplinary Research Teams from Academia, Startups, SMEs and Enterprises. Mapping 100% of seafloor requires huge amount of money and time. To achieve bold goal, we need to update technology to next generation with engaging much more people from super various fields and from different generations. Specialized survey ship costs very high, need many specialists and specialized expensive equipment. To expand our capacity of mapping, lowering cost to survey and prolonged unmanned activity to cover vast ocean that usually human do not reach. However, the funding, communication and goal setting of existing support for ocean research in japan are not sufficient or have enough flexibility to work with highly diversified research team. Or there are emerging technologies in AI, Robotics and other field, amount of effort are needed to engage people to create interdisciplinary team. Here we show the new project design process to generate hyper-interdisciplinary research teams and quick update of each innovative teams. This program is funded by the Nippon Foundation of Japan and implement by JASTO and Leave a Nest Co., Ltd. Low-cost unmanned ocean survey platform harnessing multiple robot agents and energy harvesting system. Integrated remote sensing system consist of crowd sourced firshery boats, biologging animal agents and satellites. On-site survey system supported by AI super-resolution from rough map data. In 2018, we started 2nd cohort of new research team creation and now in screening process. These effort will lead continued generation of novel approaches of ocean discovery and help academia but also industry to find new values in ocean as well as creating value from ocean.